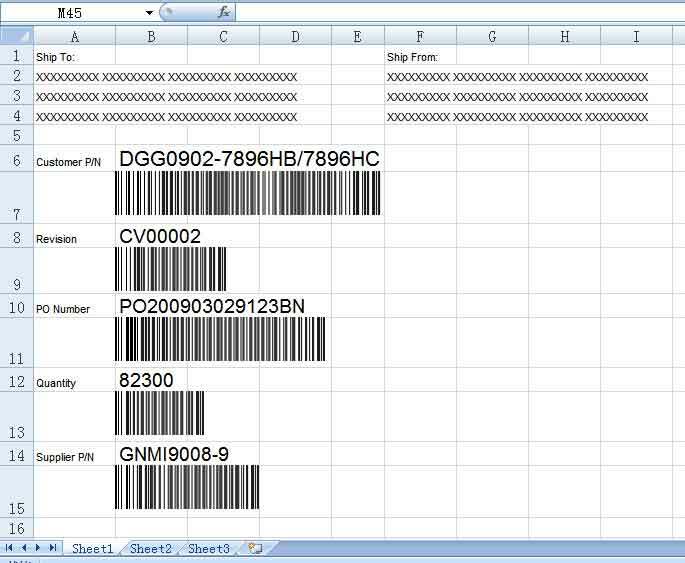 Our barcode maker software cab works with Excel to create barcode labels, for most people are familiar with using Excel, so it will greatly improves productivity. EasierSoft Barcode Generator is an simple-to-use barcode software, it can add in bulk barcodes to Excel spreadsheet, it can ease to work with Excel to make professional and complex barcode labels, such as shipping label, packing label, etc. some label contains lots of contents, such as delivery address, supplier info, date code, quantity, logo, and bar code, etc.